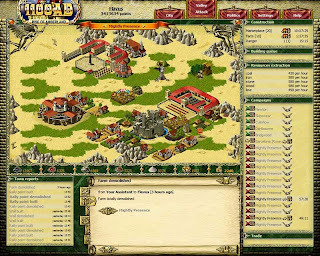 Here are some 1100AD Tips for Beginners submitted by bleeham. Improve your Storehouse, So that I can hold enough for 1 night Growth of Resouces. You loose anything beyound the level of your Storehouse. Improve your Castle One Level, Go back to Step 1 and repeat until your castle up to level 5. Go back and Repeat until your Storehouse can hold over 10,000 units. With this you can not change your Town. Convertert you landscape, 2 at a time Max. When you start playing for the day, build the Fast item first, usual the lowest level, Farms and Military Units. If you have to wait for Resouces, upgrade Them. Build more Farms, and Upgrade the ones you have, so that you have enough for your Army. Make non-Agression Packs with your Neighbors, or Ally. The more the Better.Record and Save, Location and Rating, When people leave the Game, and have their Resouces Upgraded and Raid themand get as much as 34,000 of Each one, Empty Town only yeil 350, that 12 Carts. Attack some Close Empy Towns, Before your two period is UP…This is important.If you don’t you be stuck with only ONE Town for a while. See Not on Your Secound Town. (I’ve been playing only 1 month and Got two Towns, that without having to Buy Gold) Buying Gold does Speed Up the Game. Upgrade each of your Military Building at least Level 4 before you start making Troops. Build a Temple before you Start Attacking, If you Loose your Leader, you need it unless you Buy One @ 5 Gold per Month. Take your Leader and about 10 or Tweny Troops and Start Raiding Empty Towns, I’ve found two set of Army troops. Empty Town only yeil 350, that 12 Carts. All of this can be done within your Two week Peace periond. * Placement of Improvements is important, The follow require 3X3 Squares for Full Developed Barracks, Stamples, Workshop. All other Require only one Space. * Reserve a Space to Block your FOUR entry Points for Walls (No Rush in Build them, after about week. and get as much as 34,000 of Each one, Empty Town only yeil 350, that 12 Carts. Farms – You can only built 20 Farms, Hightest Level is 10. Increase of 40 per Upgrade, But it take more for each increased level.